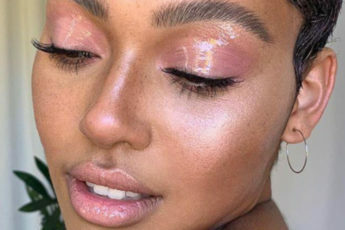 The festival season is all about glitter! 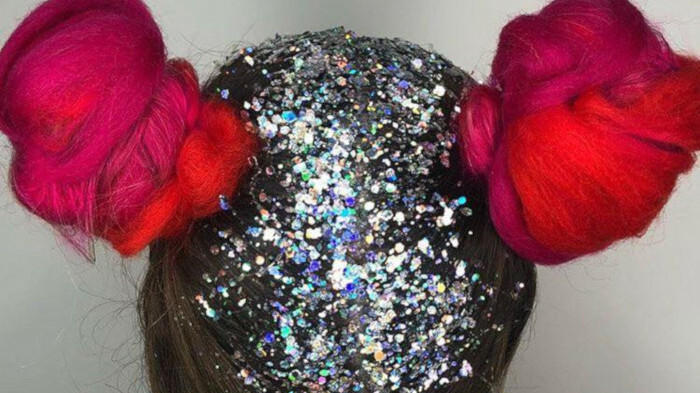 Besides putting glitter all over your face and body, don’t hesitate to spice up your hairstyle with sparkles. The possibilities to sparkle up your hairstyle are endless. 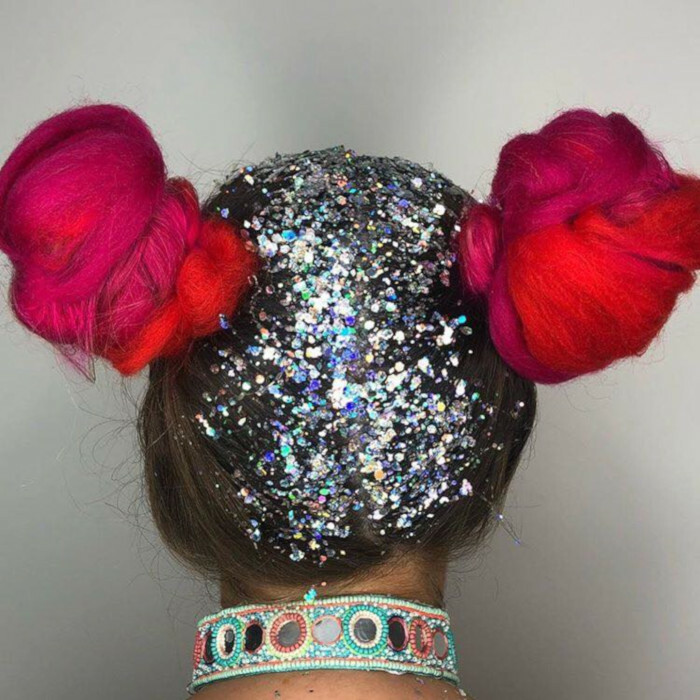 You can dip a few strands in glitter or add glitter all over your hair like in this photo. It’s Coachella, so it’s okay to be extra!